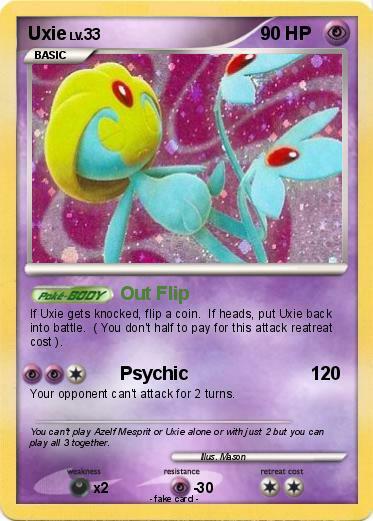 If Uxie gets knocked, flip a coin. If heads, put Uxie back into battle. ( You don't half to pay for this attack reatreat cost ). Your opponent can't attack for 2 turns. Comments : You can't play Azelf Mesprit or Uxie alone or with just 2 but you can play all 3 together.